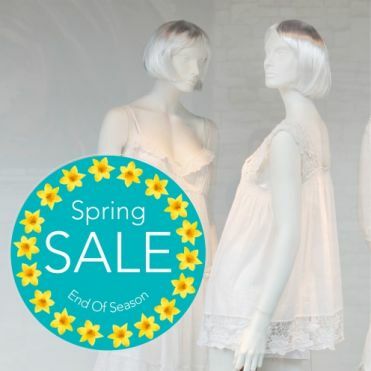 Attract the passing trade with our Spring themed stickers for shop windows & retail displays. Give your store's window dressing an edge and stand out from your competitors. Choose a template and create your own sticker in minutes. Flowers, branches, butterflies and beasties. Spring themed sale sticker in a colour and size of your choice. Your new stock and new collection is in! Make sure you grab the attention of the all important passing trade using a design from our seasonal range of shop window stickers.